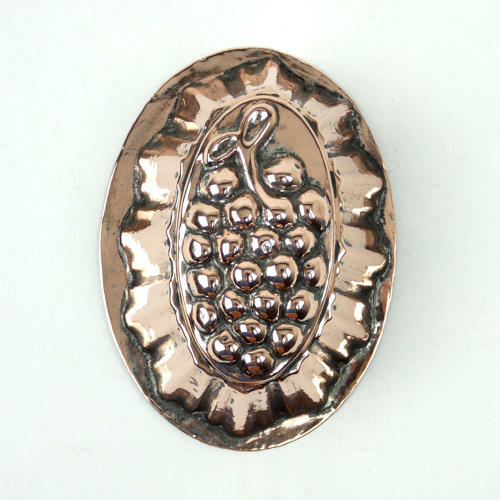 A miniature copper mould with a grape design to the top. This mould is quite light in weight and it dates from c.1910. The design to the top is detailed and this is quite an unusual shape for a miniature mould. Originally the whole mould would have been covered in tin but this has now been removed from the outside to reveal the copper beneath. It is in excellent condition but the tinning, to the interior, is badly worn and it could not be used.